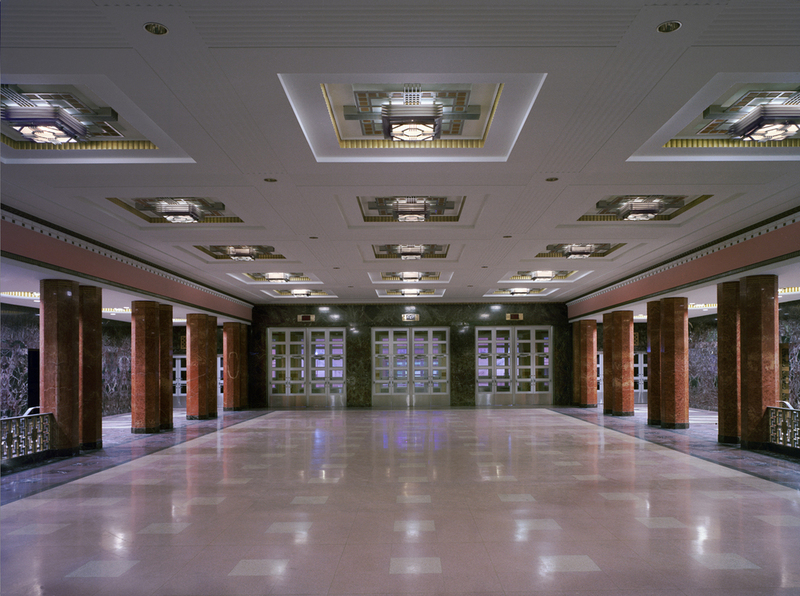 The main lobby of the Municipal Auditorium was designed in the early 20th Century in a grand Art Deco style. This historic renovation focused on modifications to the original lighting design in order to reduce energy consumption and maintenance and to comply with contemporary code requirements. Historic luminaires were cleaned and refurbished, which included replacing original incandescent lamps with compact and linear fluorescent sources. Additionally, multi-switch zoning was added so that the space could better serve expanded programming such as VIP receptions and dining events. Custom recessed downlights were developed to accommodate shallow recessed depths and excessively thick plaster ceiling dimensions. Careful coordination with the contractor and field investigation of each mounting location was required due to minimal plenum depths in select areas between the plaster ceiling and structure. All contemporary alterations had to maintain the original aesthetic of the decorative luminaires and the space at large. As a result of the technological changes, the decorative glass diffusers were more animated, adding an enhanced jewel like quality to this grand historic lobby. 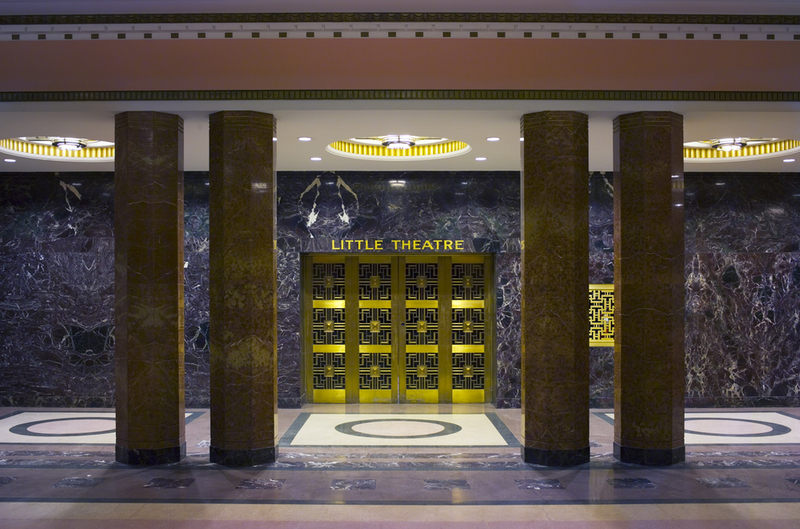 The new design met all pragmatic light level requirements, installation logistics and integrated seamlessly with the historic interior design; effectively updating the original Art Deco vision with current technology.